100% UV - A and B, Total Protection. Non-polarized 43mm lens. Matted-finish frame to avoid finger prints. 110mm width plastic frames that are very-flexible to prevent breakage. 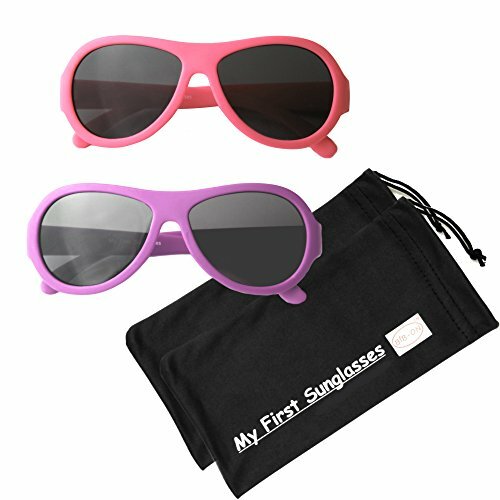 Comes with 2 high quality microfiber pouches that you can carry and clean your sunglasses with. No one can beat our True Value 2 Packs! Cool, Aviator style sunglasses to fit super, stylish babies 6 months to 2 years old with average width faces. If you have any questions about this product by BIB-ON, contact us by completing and submitting the form below. If you are looking for a specif part number, please include it with your message.